What is the Garantme Certificate? 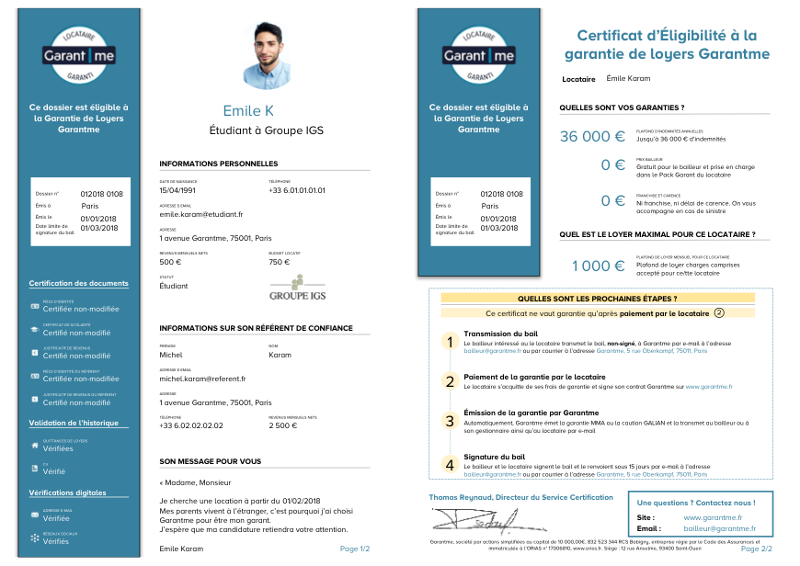 The Certificate is your housing application file certified by Garantme. It explains that Garantme is your guarantor for your future rental. You can use it every time you submit an application to an apartment and with the landlords or agents with whom you make a visit. What is in the Garantme Certificate? Why is the Garantme Certificate useful? The Certificate gets your application at the top of the list. It reassures landlords about your capacity to pay the rent and provides them with the process guidelines. When they see it, they know that you are eligible to the Garantme Guarantee that protects their rent up to €36,000.